En roman om andlig utveckling och den fantastiska tillvaron av mannen som skrev "Måsen". 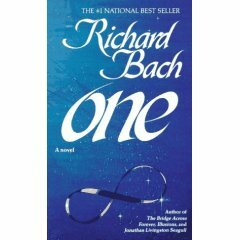 Under the spell of quantum physics, Bach and his wife Leslie are catapulted into an alternate world in which they exist simultaneously in many different incarnations. Instead of soaring and diving though space, passengers on this flight must be prepared to cruise slowly, making several stops to look at their motivation and lifestyles as the Bachs look at their own. This is a strange and thought-provoking fantasy from the man who gave us Jonathan Livingston Seagull and Illusions, one that is imaginative, playful, and in places, startling in concept.